UBS Optimus Foundation committed a grant of CHF 1 Million (equivalent to 43.3 Million in Philippine Pesos) over 5 years to fund a leadership development program directed in grooming high-potential leaders to teach kids and promote educational equality. 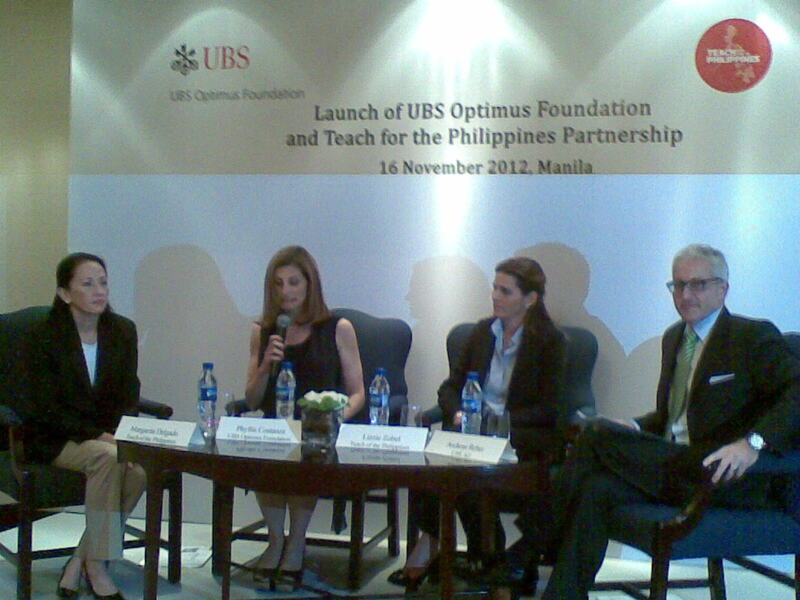 The launch of a new partnership between the UBS Optimus Foundation and ‘Teach for the Philippines' aims to establish an innovative partnership that enlists the Philippines’ most promising future leaders in a mission to promote education equality. By empowering the Philippines' most promising young leaders to help transform the nation through education, indigent children will soon have access to excellent education. This collaboration was announced in a presscon early today held The Manila Peninsula. Present were Kathryn Shih and Phyllis Constanza of the UBS Optimus Foundation, joined in by Andreas Reber of UBS-AG. Teach for the Philippines on the hand, was represented by Margarita Delgado and Lizzie Zobel. To achieve education reform, Teach for the Philippines recruits promising young leaders to teach in the nation's most under-served schools for two years. There is an ongoing search for 10 outstanding Filipino Americans to be a part of the inaugural corps of Teach for the Philippines. Chosen candidates will be trained and eventually deployed to ten (10) schools in Quezon City to teach DepEd curriculum to third grade students. Teach for the Philippines teacher-participants are then monitored. 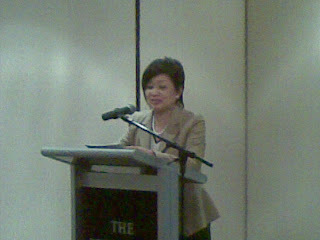 Each one is supported by a seasoned teacher and Teach for the Philippines program directors. They are expected to transform learning communities by providing the knowledge, skills, and inspiration which the local public school students need to graduate from secondary school and continue on to lead productive adult lives. Since 1999 the UBS Optimus Foundation has supported children in the areas of health, education and child protection. 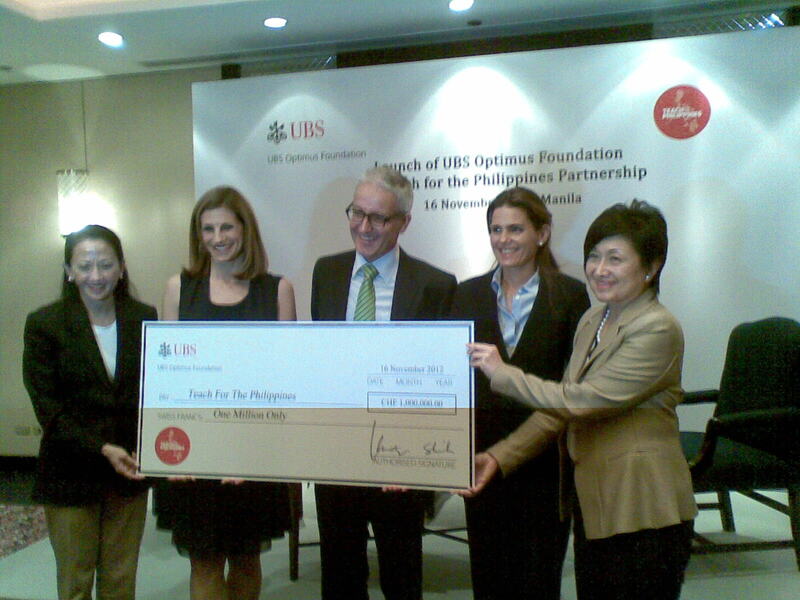 The UBS Optimus Foundation is a part of UBS's dedicated philanthropic support to its key clients globally. Teach for the Philippines is a non-profit professional Philippine organization that enlists the Philippines’ most promising future leaders in our mission to promote education equality.